If you are unfamiliar with retargeting, keep reading! Retargeting is a favorite tool of online marketers and its use is on the rise. Nearly three out of five U.S. online buyers said they notice ads for products they looked up on other sites. The maker of Kleenex, Huggies, Scott and Cottonelle, Kimberly-Clark relies on retargeting, saying it is seeing 50 to 60 percent higher conversion rates among consumers who have been retargeted. I understand this might seem complicated, if you have never heard of retargeting. But I will translate it into non marketing mumbo jumbo. 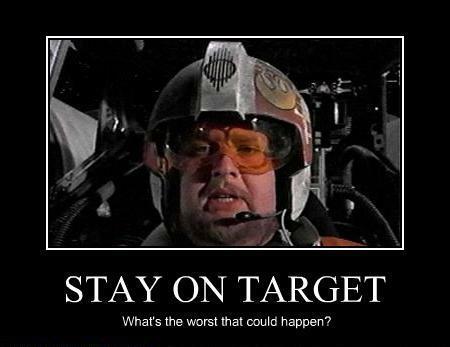 In short: retargeting is the equivalent of a rebound in basketball. Retargeting allows you to reconnect in a meaningful way with people who, for one reason or another, cared enough to visit your site in the first place. This is how you create additional conversion opportunities, with previous website visitors, by serving ad banners on partner sites, while they are searching on the internet and social media. What difference could an extra brand impression make in your business? Maybe quite a lot, experts say. Statistics show that websites that retarget their visitors with display ads are 70% more likely to convert on your website. 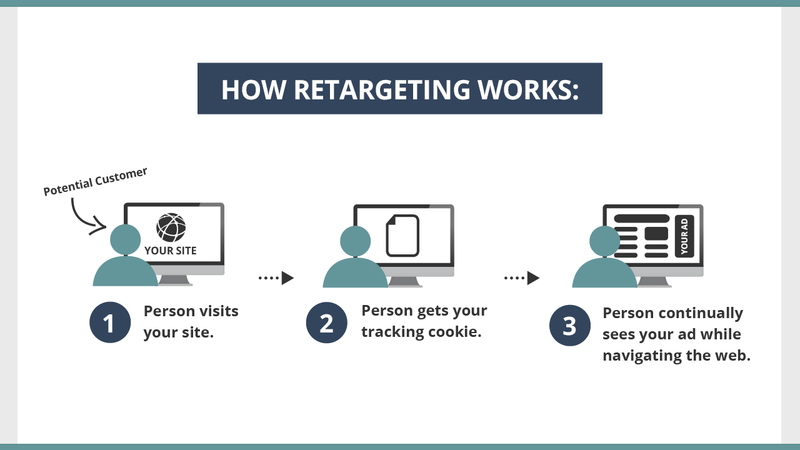 Here is a simple breakdown of how retargeting tracks your website visitors. This list allows you to display retargeting ads to potential new customers as they search and visit other sites on the internet. Allowing you to potentially retarget your site visitors almost anywhere on the internet, including social media. 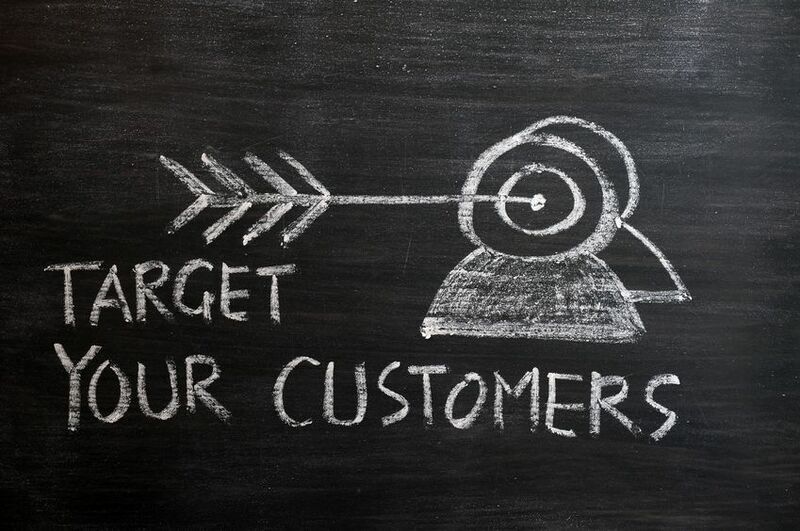 Retargeting campaigns can create greater potential sales by constantly and consistently keeping your business front and center with your potential customers, when they are ready to buy. Whenever your site visitors sees your ad banners, your business gets a bump of credibility and awareness. The high click-through rates and higher conversions, typical with retargeting campaigns, highlights the potential value of great branding and awareness. A business with an online marketing strategy, can benefit from running a retargeting campaign. If your website gets traffic, you have the opportunity to turn them into customers for a fraction of the cost of your investment to get them to your website in the first place. If your business has an active pay per click campaign, it would be advantageous to run it in conjunction with an retargeting campaign. While the initial cost to acquire that click was several dollars, you can continue to track that potential customer for fractions of a cent per exposure. Retargeting on Facebook has become an indispensable tool for business owners, driving conversions, downloads, and lead generation. Your customers check Facebook multiple times a day on multiple devices. Facebook retargeting allows you to reach them across desktop and mobile with customized dynamic ads. You don’t have to be friends to benefit! Reach customers across devices with retargeted ads right in their News Feed and Right-Hand Column. Get the right ads to the right customers at the right time. Nobody wants to waste money on purpose! Below are five tips to improve and optimize a retargeting advertising campaign for your business. 1. Showing too many ads: Don’t annoy your potential customers, there is a difference between informing and annoying. Make sure to set a cap on hoe many impressions you show in a day. 2. Not enough exposure: Not showing your ad enough would be equally a waste of money. Do your best to find the sweet spot. It varies for business to business. 3. Design better ads: Do your best to put together banners that will not only build up your brand but encourage and inform your potential customers to complete their purchase. 4. Don’t forget to segment: One of the biggest advantages to retargeting is the ability to segment and target your website traffic. Take advantage of this by delivering ads that meet the specific needs of your perspective customers. 5. Measure success: Nobody knows anything…except the audience. Put methods into place to track the success of your retargeting campaign. 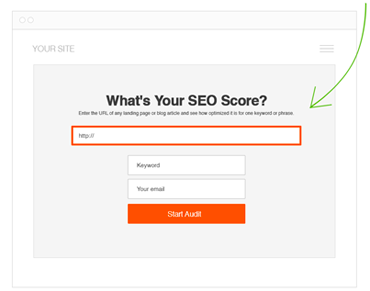 Set up conversion goals and landing pages dedicated to your retargeting inventory. A visitor might get distracted or lose interest, have to answer their phone or take their dog to the bathroom – you just don’t know. Retargeting allows you to seek that person out and give them a reason to check out your site again. Make sure to capitalize on its potential without wasting money or annoying potential customers. If you have any questions about getting the most out of retargeting advertising, just leave them below in the comment section, or send me a message. Great article! While your site does need retargeted ads, I think that it also needs a solid SEO strategy and campaign, since that will get it organic traffic from search engines which in the long-run is much more valuable than ad generated traffic. Hey guys, thanks for leaving a comment! Here’s an article that complements your suggestion. If you are going to base your digital marketing strategy on paid ads, then I guess re targeting is the best choice. I find it less intrusive than other form of ads, especially those that pop up when you visit sites and cover them entirely. The article gives a pretty well and solid explanation of retargeting ads. It’s a pretty good and cheap way to get some traffic for anyone who wants to improve their online presence. I think the best solution when it comes to retargeting is social media and more importantly Facebook. Although it is a cheap and effective way I think it’s not something people should rely on long term. It’s more of a “get your foot in the door” technique in my opinion. The best strategy when it comes to online presence is specialized SEO. Long term, natural traffic and the conversions are inevitable. Good job on the article. We are fans of promoting the sum of all the parts. Hope all is well!